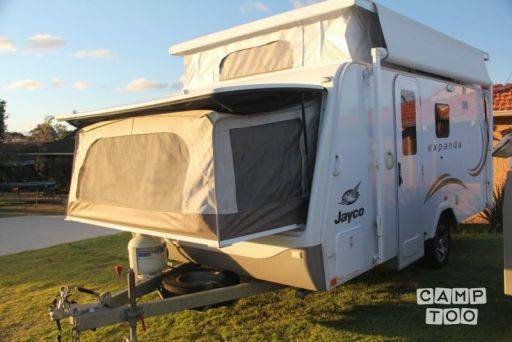 Jayco Expanda for a great holiday. 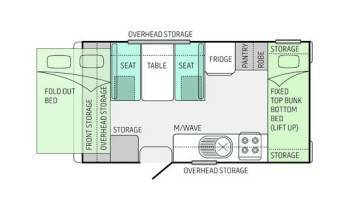 A great Jayco Caravan to take the family away in. From our family to yours. This caravan will be the start of a great holiday. Send me a message if you ahve any questions. The van must come back in a clean and tidy state or a cleaning fee will apply. Thankyou Belinda and thank you Camptoo for the hook up. Belinda's caravan was clean tidy and everything worked correctly. My partner is visually impared and found the plenty of storage space easily accesable and well positioned. The communication was top notch and very fast between all party's conserned. Would happilly use this again and im hoping for another chance to go travelling again real soon. Thank you again for the use of your caravan Belinda, it allowed us all to have a comfortable and memerable holiday, thanks all and see you soon as. Happy camping to all that follow and enjoy the awesome memories that come with it. Je kan de caravan ophalen in Balcatta bij Belinda.